† To know Christ and to make Christ known through worship, fellowship, and service. † Provide a friendly, welcoming spiritual home for all people. † Inspire hope and purpose in life through the study of the Bible. 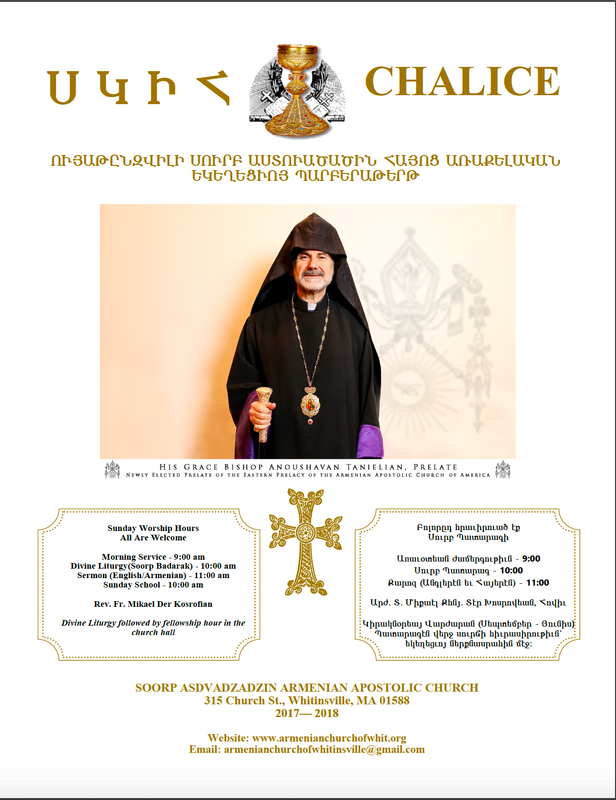 † Provide instruction in the teachings and doctrine of the Armenian Apostolic faith. † Offer a variety of Christian education programs to guide individuals and families to live more meaningful, effective, and fulfilling lives. † Lead children into a personal, loving relationship with Jesus through a creative Sunday School program. † Promote activities that foster community and outreach service.